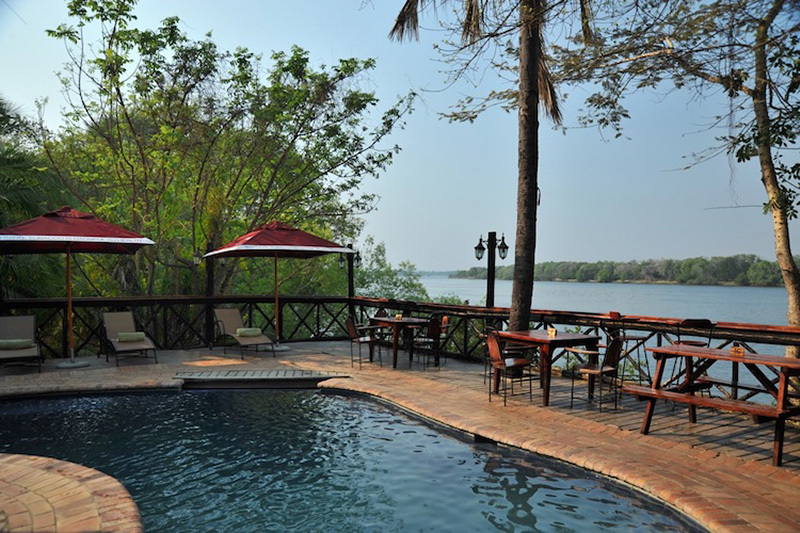 Our Livingstone based partners will meet you at the airport and transfer you to Zambezi waterfront lodge which is situated right in the heart of Livingstone. 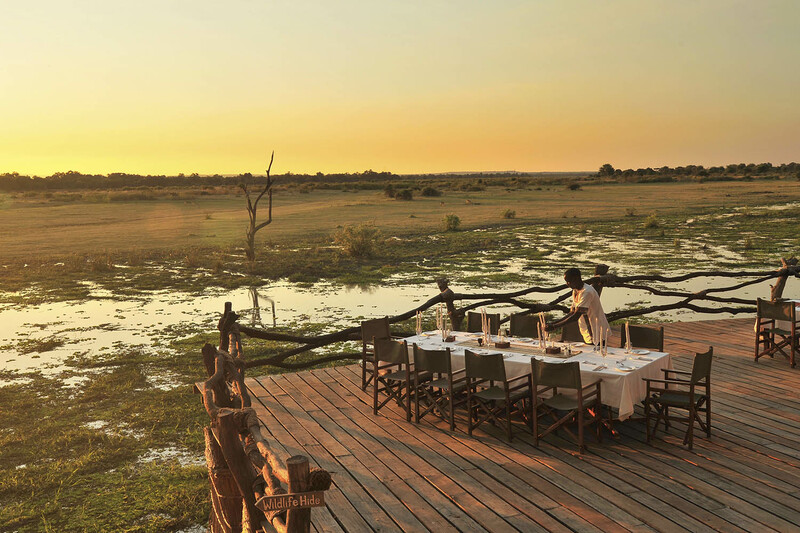 After breakfast, it is time to head South Luangwa National Park`s Croc Valley Camp. 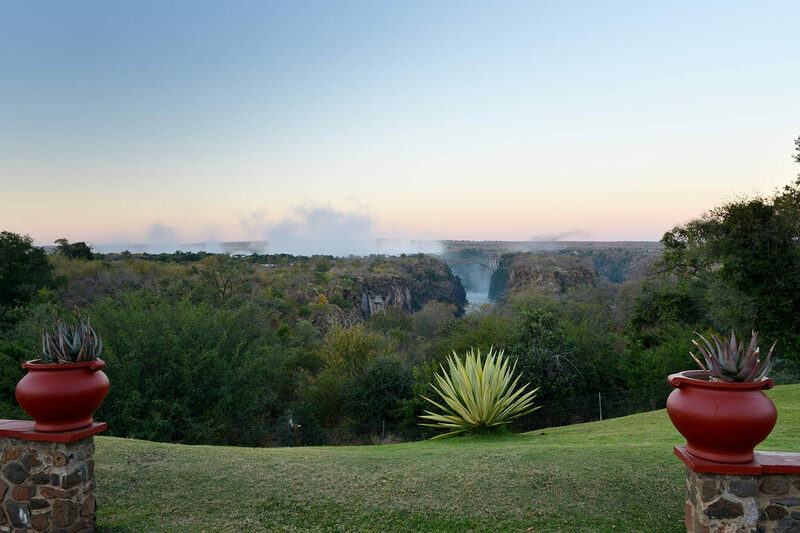 You will be transferred back to Livingstone airport in order to fly to Lusaka and then on to Mfuwe. 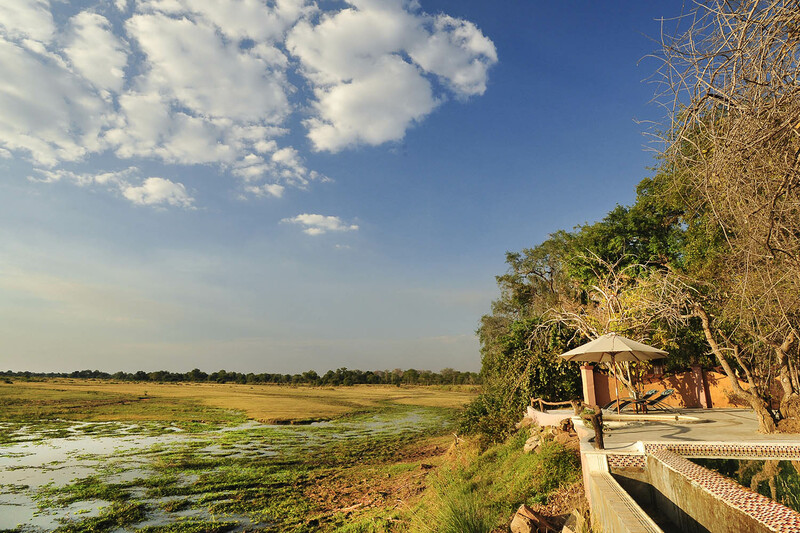 Croc Valley Camp is set on the banks of the picturesque South Luangwa River. 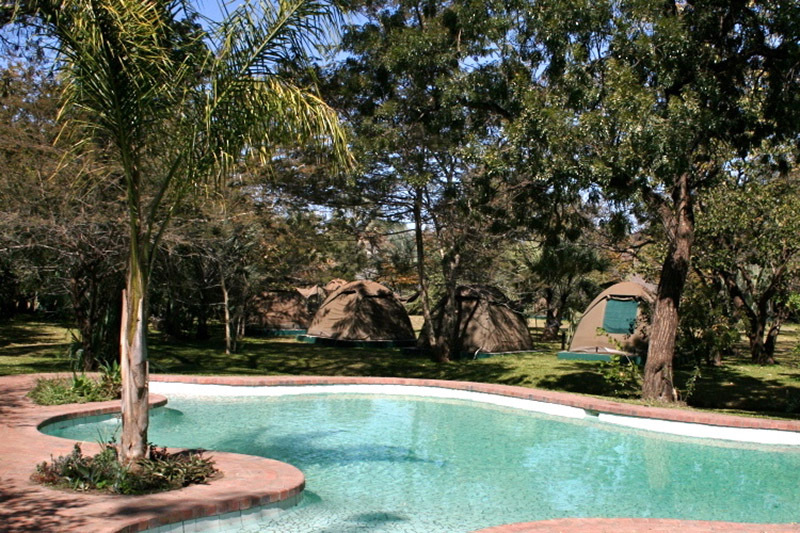 Set in the riverine forest the camp in deliberately inconspicuous so as to retain the natural beauty of the surroundings and encourage wildlife to roam freely. 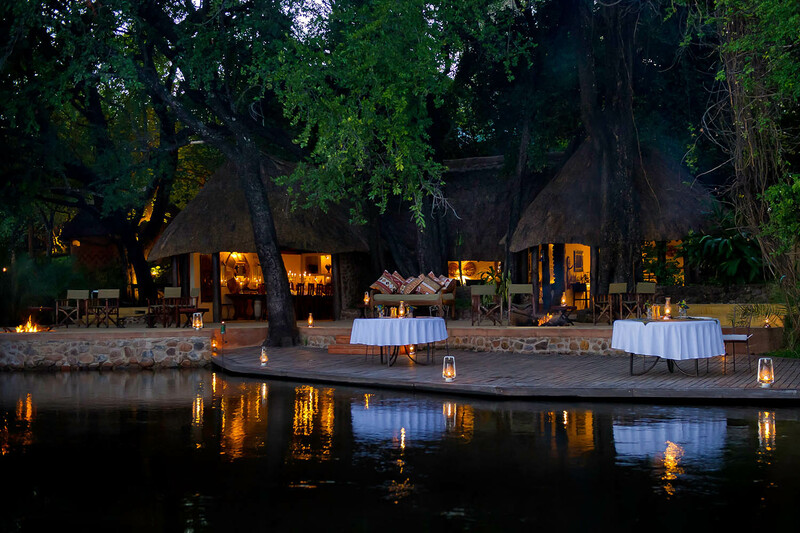 An abundance of wildlife such as elephants, monkeys, hippos and a wide variety of antelope often pass through the camp and can be seen most days from the safety of our shaded rondavels, the bar, restaurant, chalets and tents. Full board plus park fees and game activities. 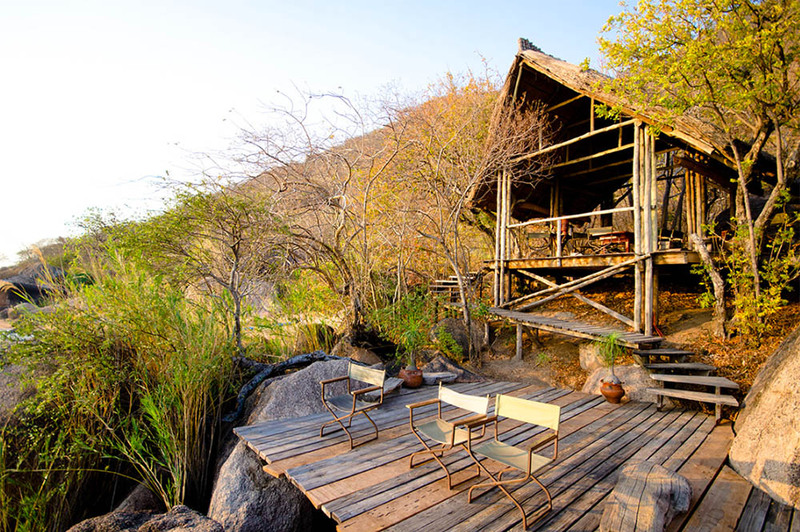 The Funky Cichlid Lodge is situated at the Cape Maclear, 500 meters from the Lake Malawi National Park. 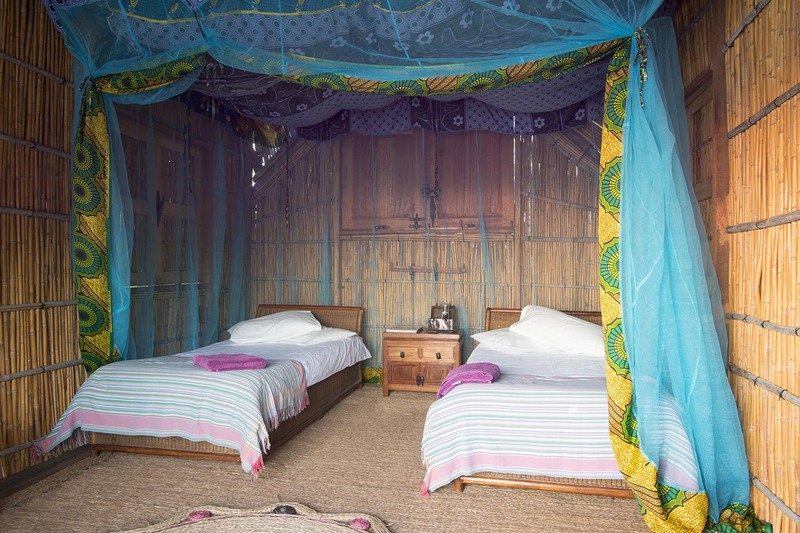 The lodge has 13 rooms and dorms with fans and mosquito nets in all its rooms. 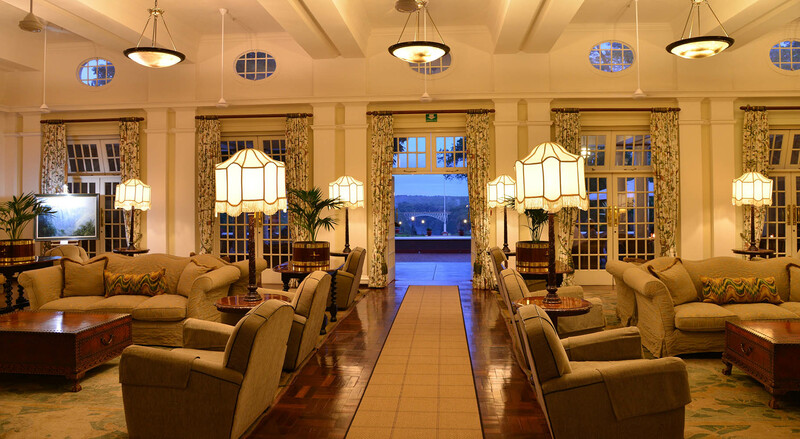 It is a great place to rest once you are done with all the leisure activities. 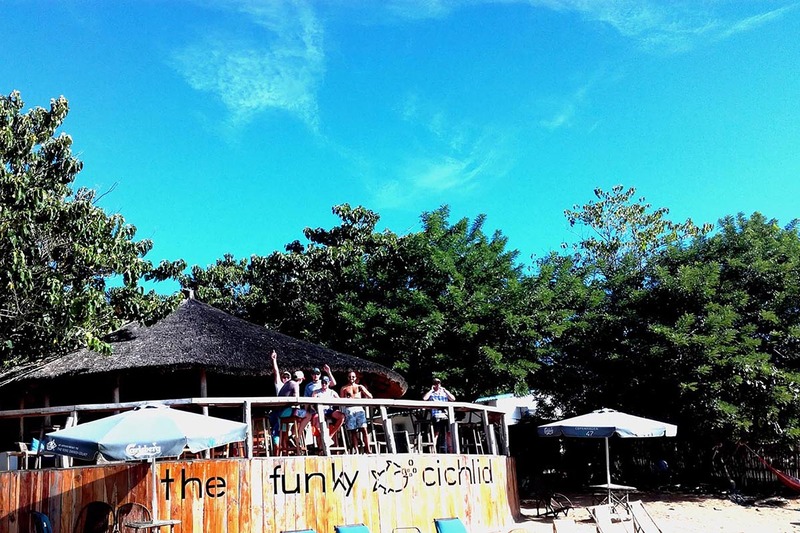 Check out The Funky Cichlid – promotional video to see what the lodge and Cape Maclear is all about. 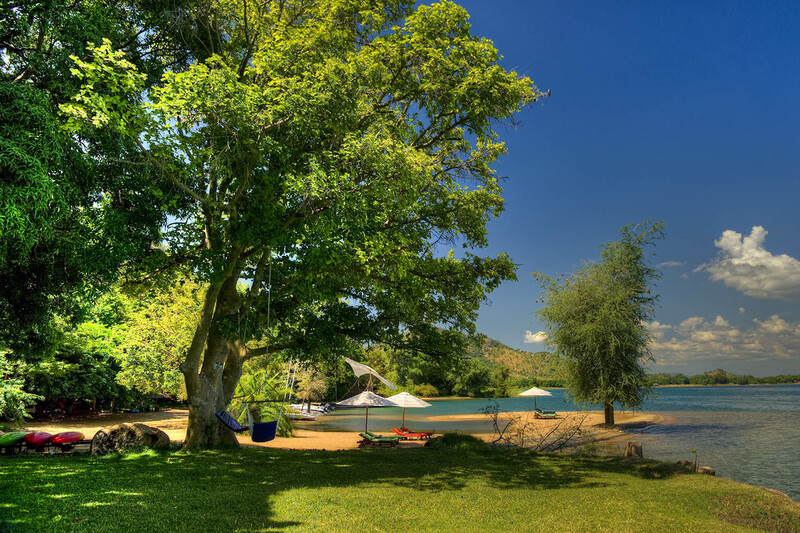 After breakfast, we will start driving towards Cape Maclear to the next piece of paradise on the Lake Malawi. 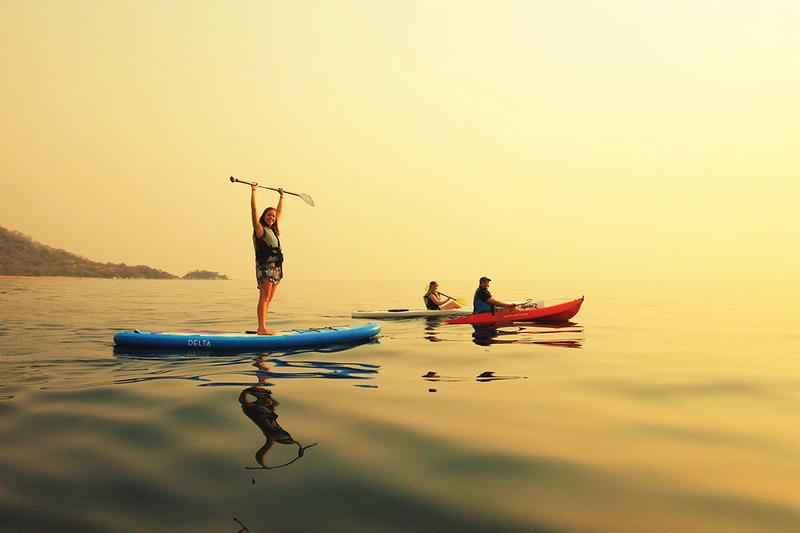 Upon arrival you will drive straight to Kayak Africa reception before at 10:30 am, from there you will either Kayak out or boat ride to Domwe Island a 45 minutes trip. 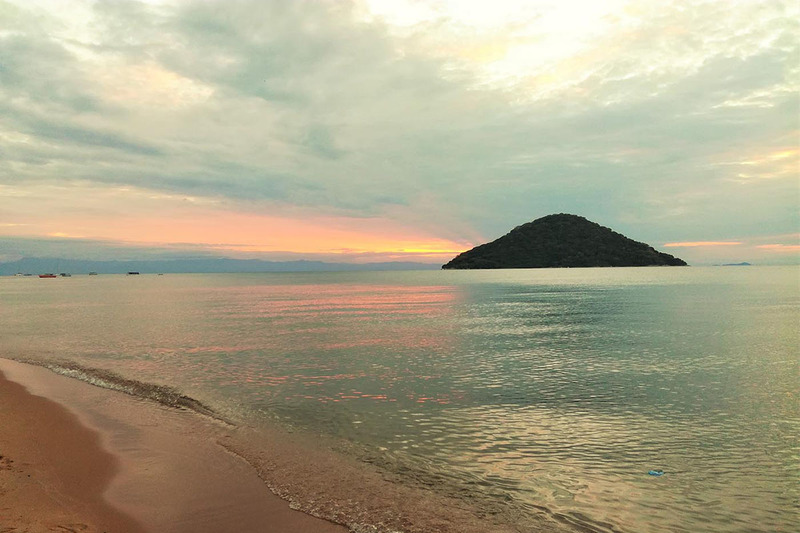 Domwe Island is the largest unpopulated island in Lake Malawi, with a circumference of 11km and the highest point is 400m above lake level. 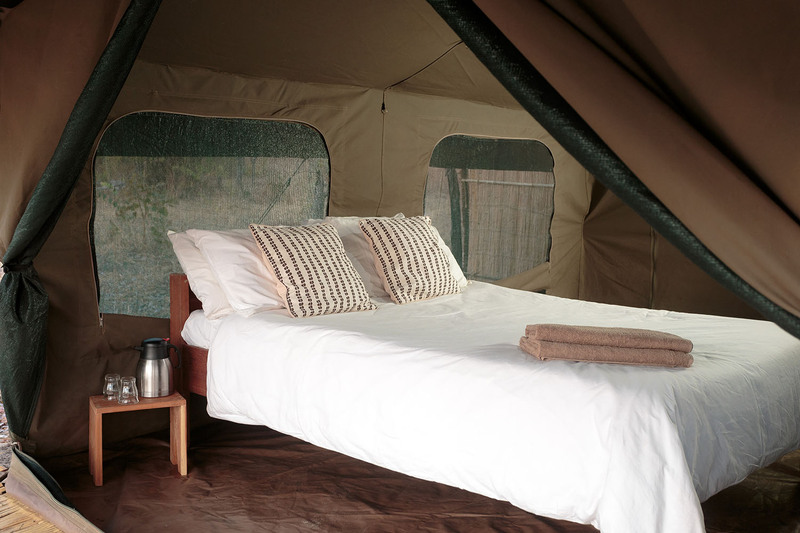 Domwe Island Adventure Camp is basic yet exclusive. It lies behind a small beach on the island’s west side. 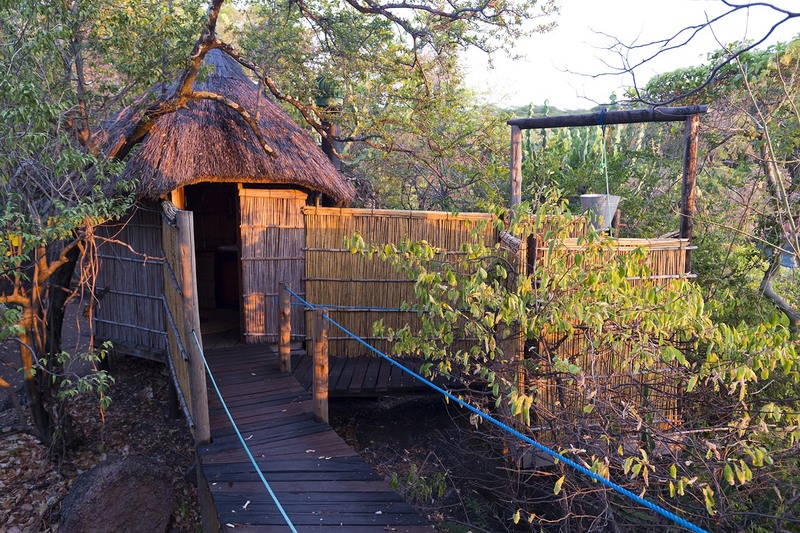 From solar lighting to dry compost toilets Domwe aims to be as eco-friendly as possible, so during your stay here you will be living authentically alongside nature. 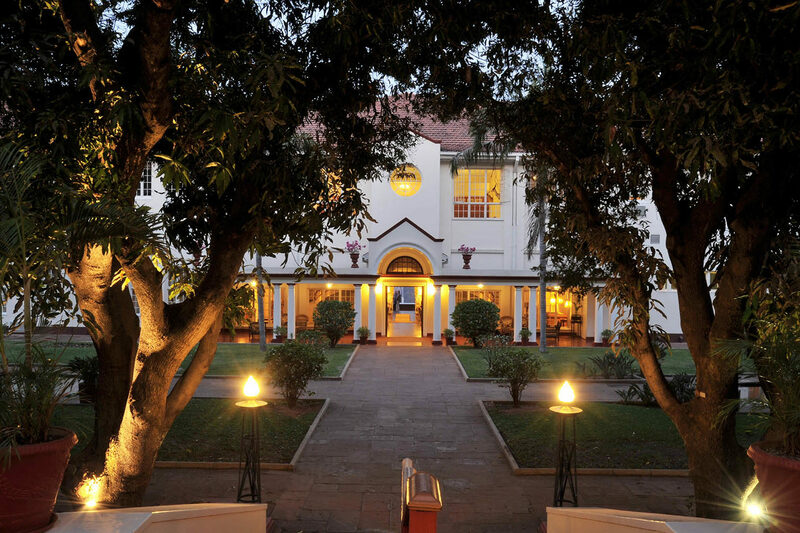 All the good things must come to an end and today after breakfast we will drive back to Lilongwe International Airport for your flight back home. We hope you have enjoyed the tour! 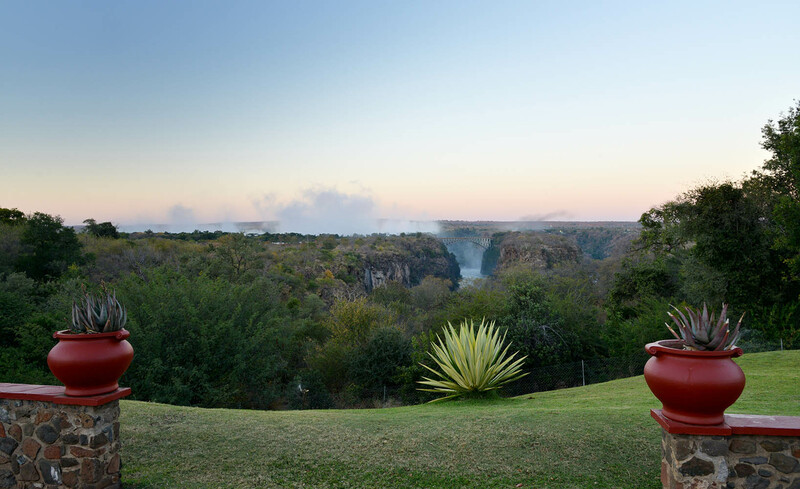 Our Livingstone based partners will meet you at the airport and transfer you to the Victoria Falls Hotel which overlooks the falls. 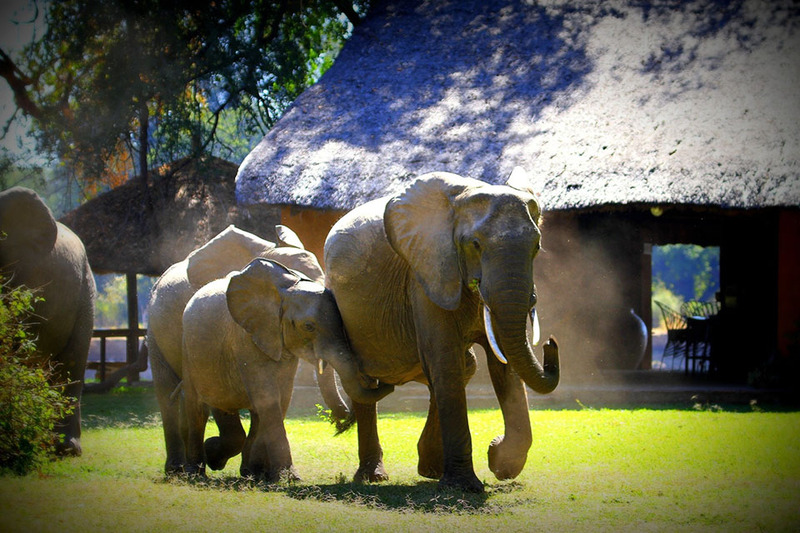 After breakfast, it is time to head South Luangwa. 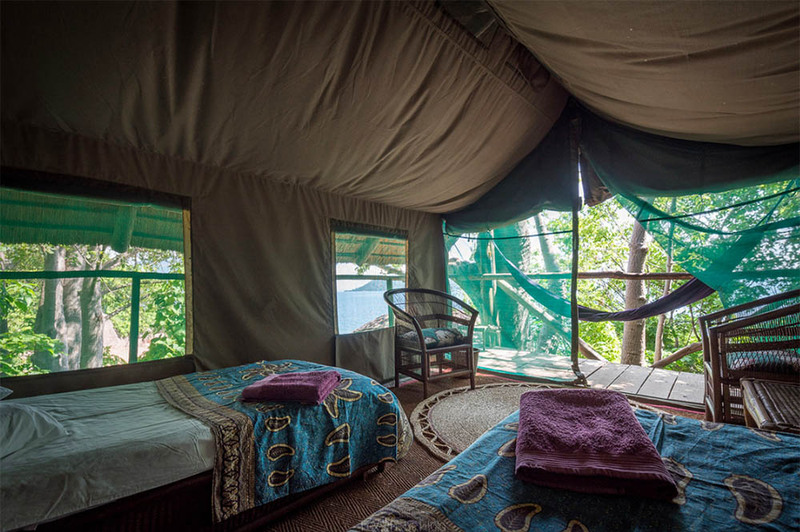 Where you will be staying at Nkonzi Camp. 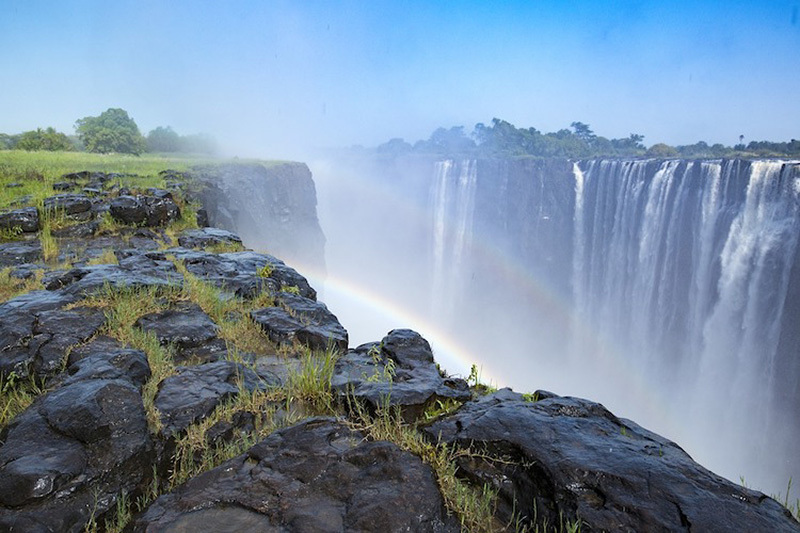 You will be transferred back to Livingstone airport in order to fly to Lusaka and then on to Mfuwe. 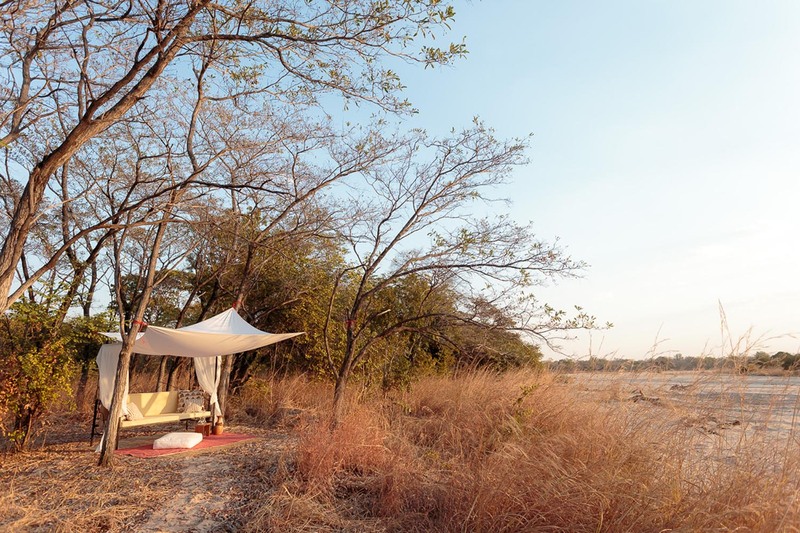 Nkonzi Camp is located deep in the heart of South Luangwa National Park. 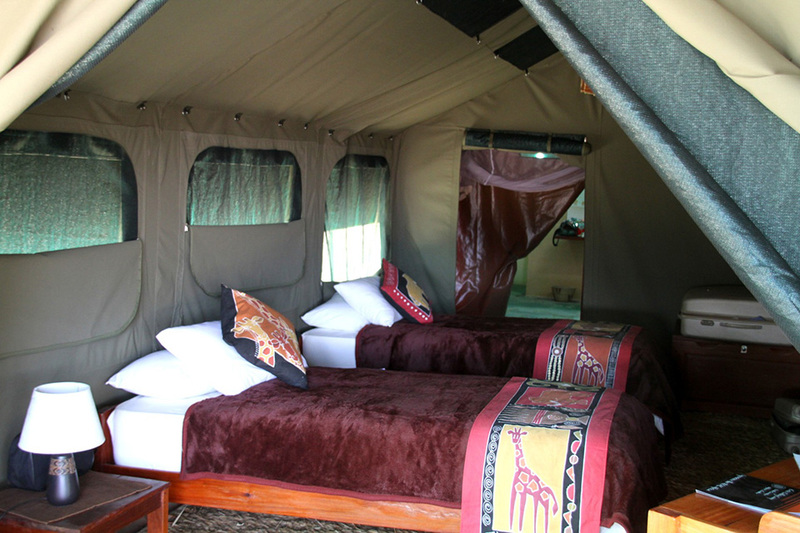 From the moment you walk out of your tent, you are on safari in one of Africa’s finest wildlife destinations. 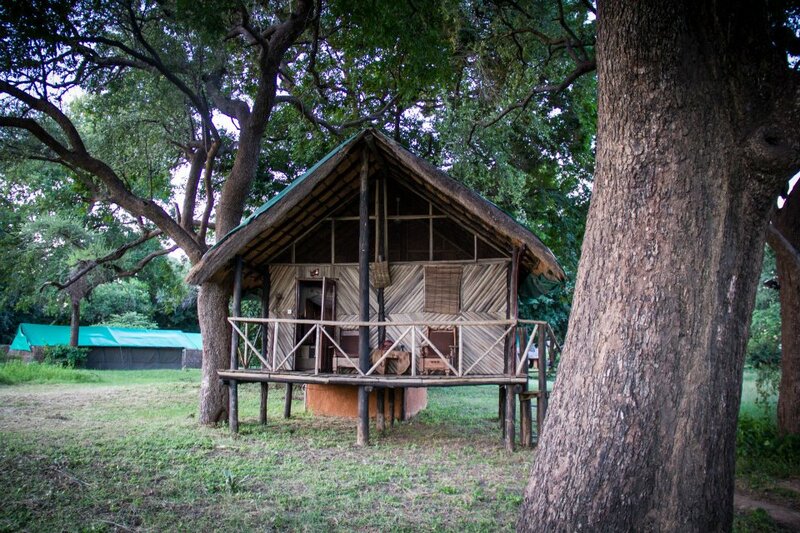 Nkonzi Camp is perfectly positioned for stargazing too, with zero light pollution and panoramic views of the Milky Way that have to be seen to be believed. 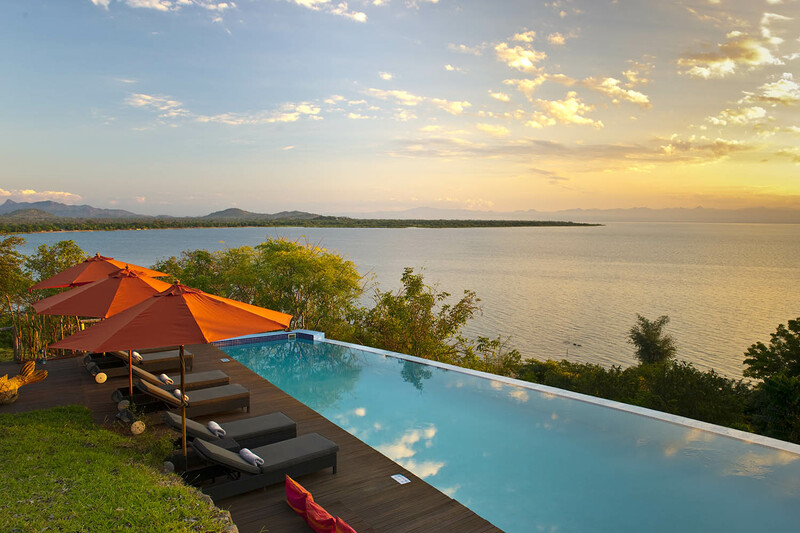 Situated right on the beach in Cape Maclear, Annie’s Lodge is an apart hotel with a restaurant, lounge and also has an outdoor pool free self – parking is free. 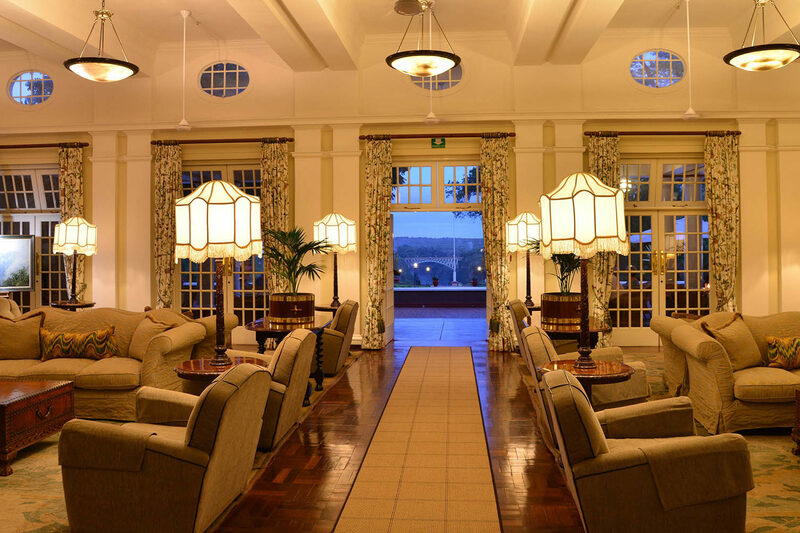 Additionally, Wi-Fi in public areas, a business center, and dry cleaning are onsite. 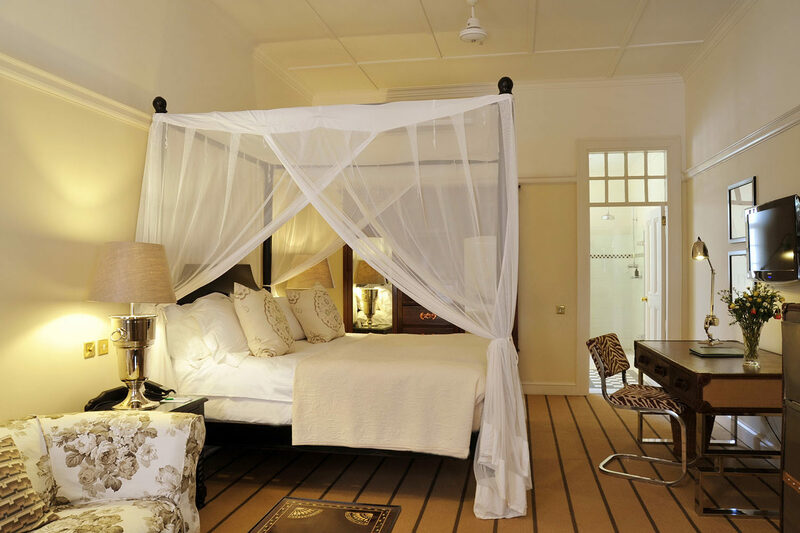 All the 11 apartments provide conveniences like refrigerators and coffee makers, plus WiFi and flat-screen TVs. 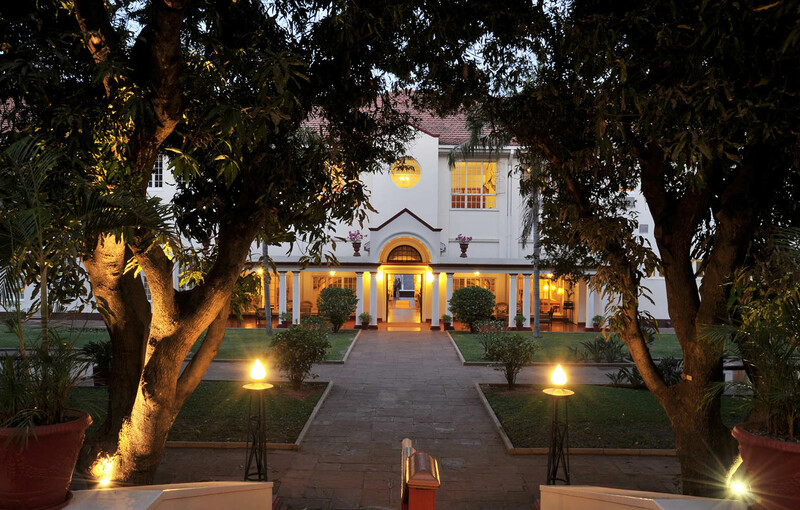 Room service and desks are among the other amenities available to guests. 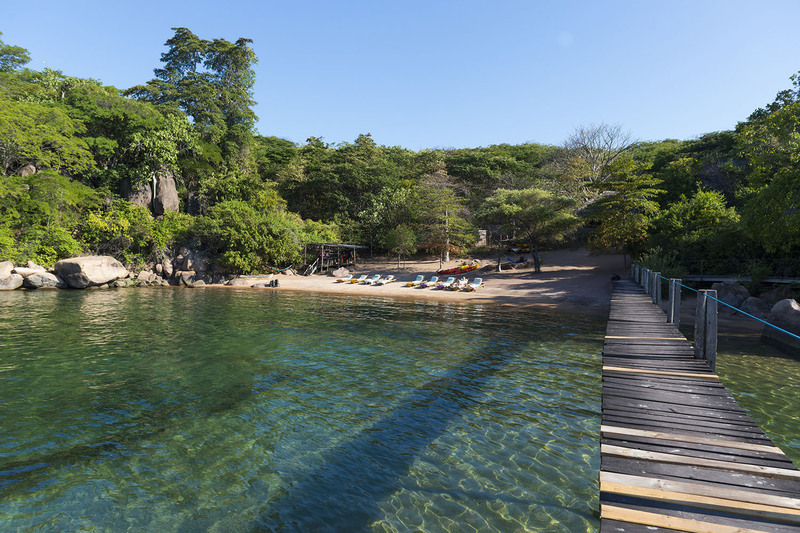 At 10:30am your boat transfer will depart for the stunning Mumbo Island, which is approximately 45 minutes. 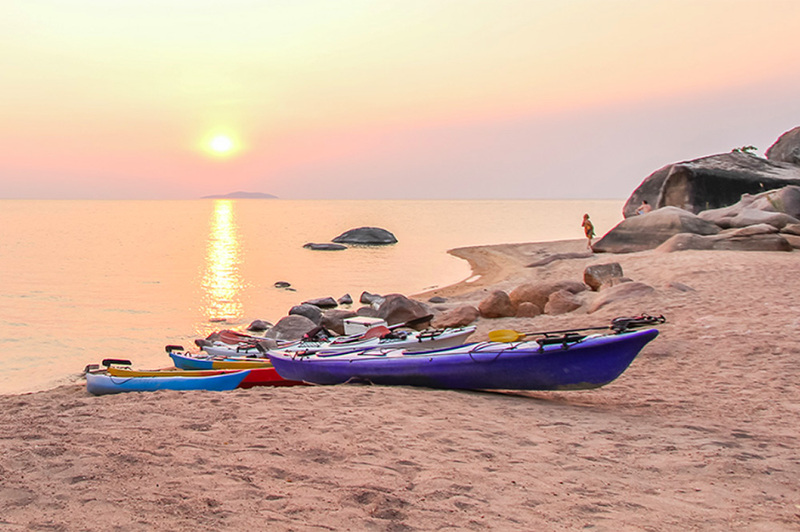 Mumbo Island is a deserted tropical island on the expansive waters of the Lake Malawi. 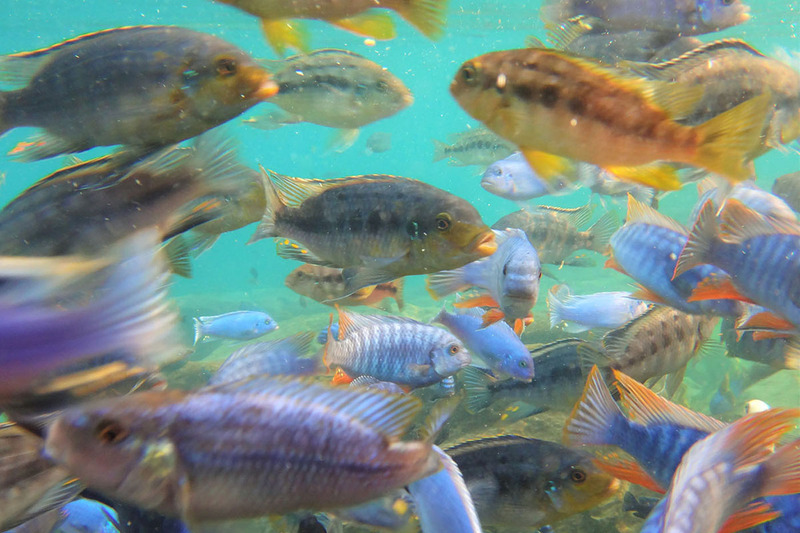 With amazing underwater boulders, around 800 species of colorful cichlid fishes and placid, clear water, the National Park offers what many consider the best freshwater snorkeling and SCUBA diving in the world. Welcome to Zambia! 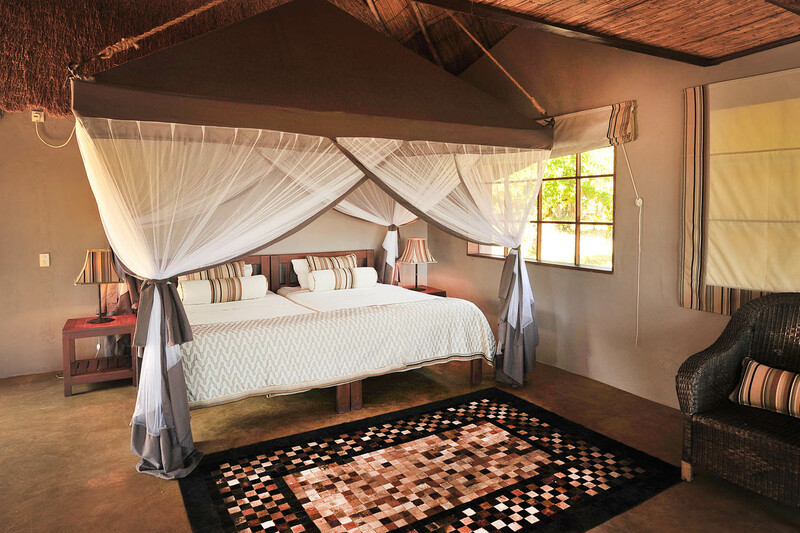 Our partners will meet you in Livingstone and transfer you to your accommodation for the next two nights. 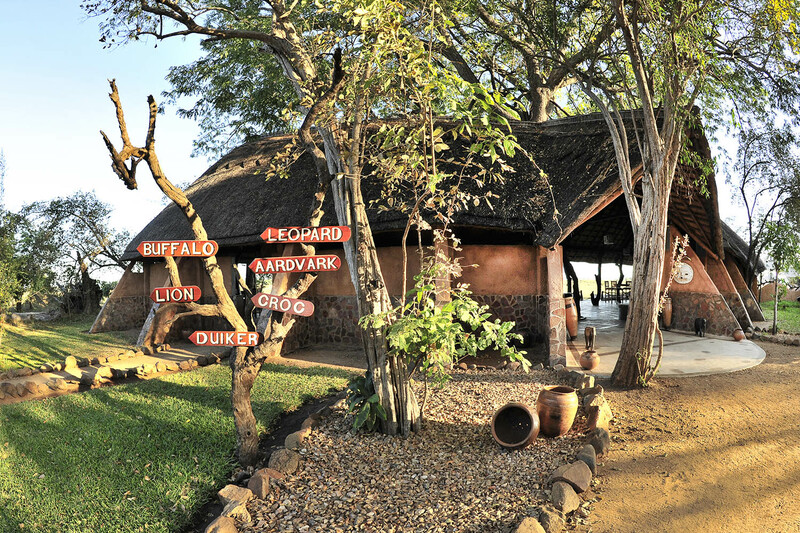 After breakfast, you will be transferred back to the airport in order to catch your flight to Lusaka then onto Mfuwe. 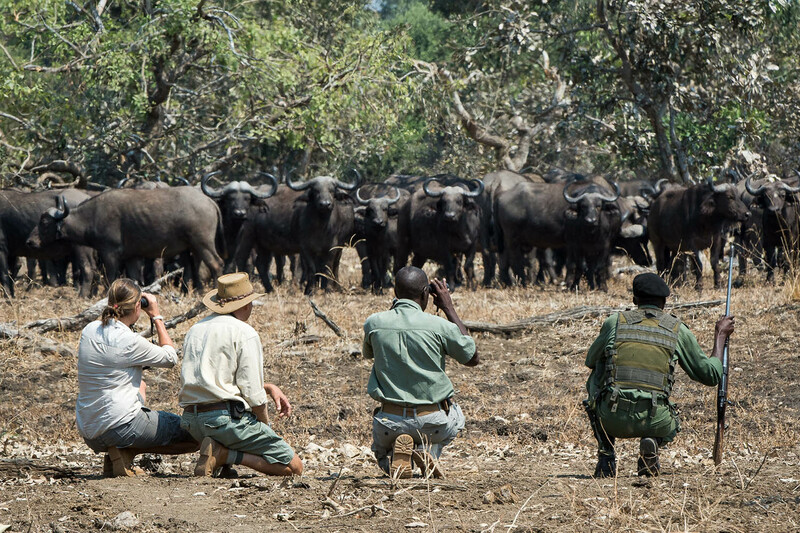 It’s time to go on safari! 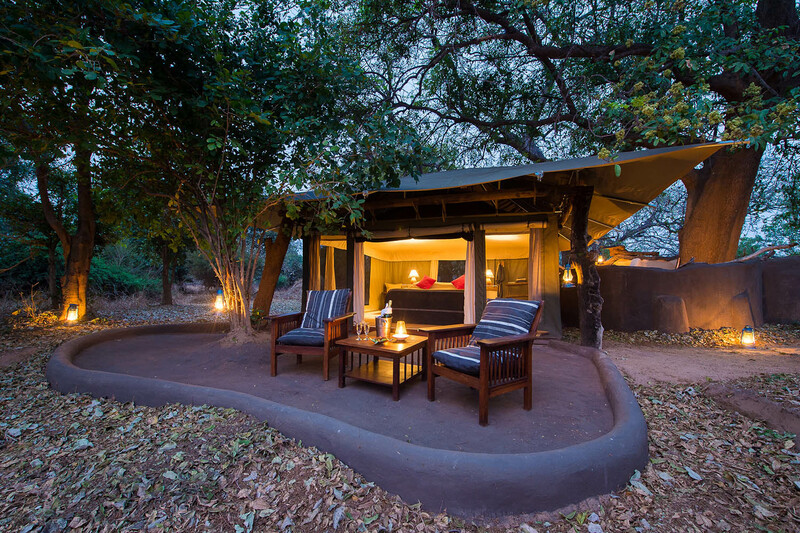 Kafunta is a classic Zambian safari lodge where you will find the rest and peace you need after an exciting day of game drives with their highly knowledgeable guides. 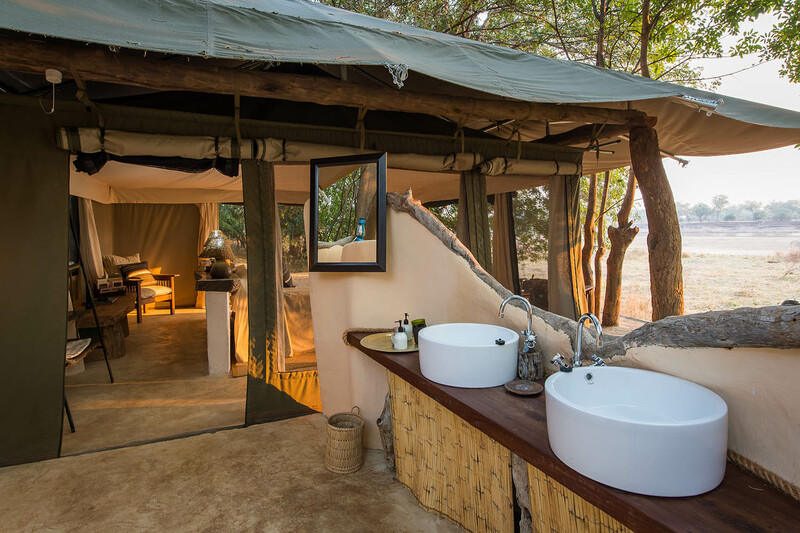 At Kafunta each of the luxury private chalets and the main lounge/dining area has fantastic views of the game rich flood plain. 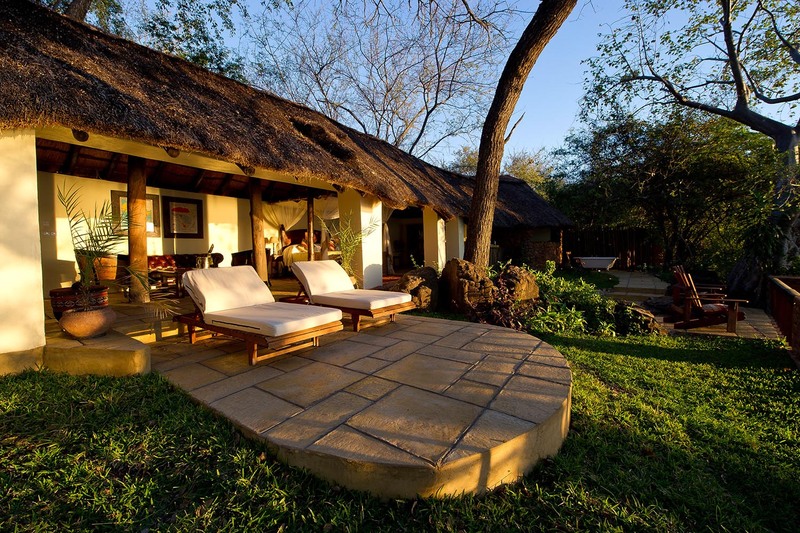 Next to the bar you’ll find the pool and the natural hot spring in the Luangwa Valley. This unique hot tub is fed from a completely natural geothermal source on Kafunta’s grounds. 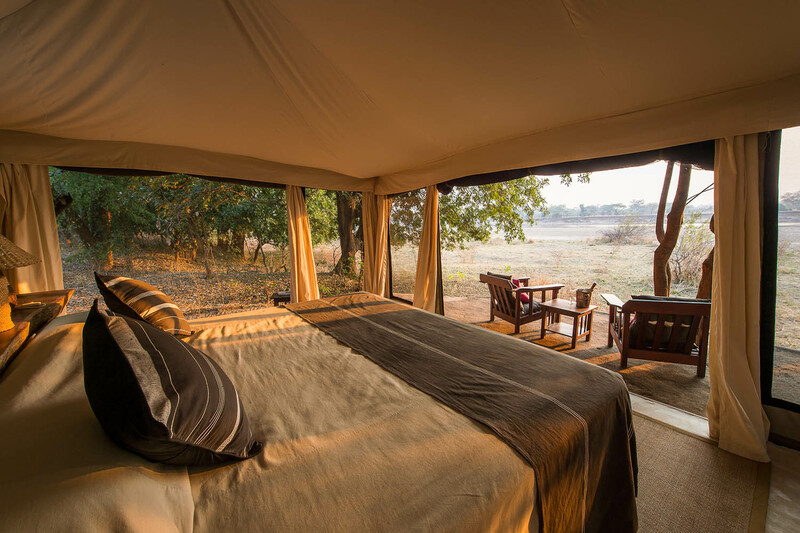 Here you can enjoy pure relaxation while being presented with magnificent views over the floodplain and the Luangwa River. Full board, all game activities, park fees and drinks. 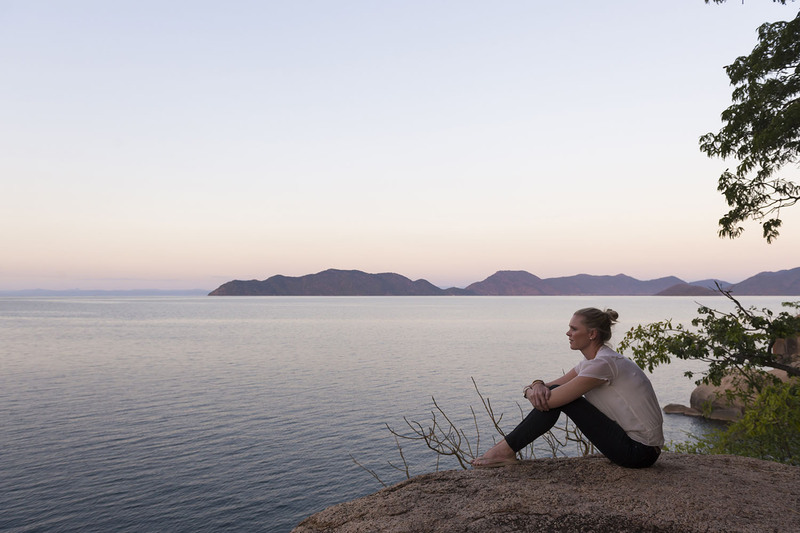 After breakfast, get ready now to drive to Cape Maclear to the Kayak Africa reception offices. You will have a boat transfer to Mumbo Island, which is approximately 45 minutes. 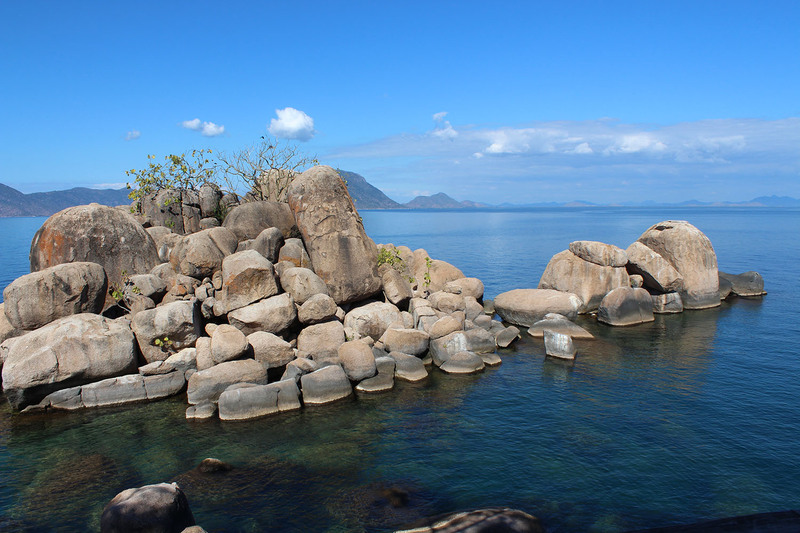 Mumbo Island is a deserted tropical island on the expansive waters of the Lake Malawi. 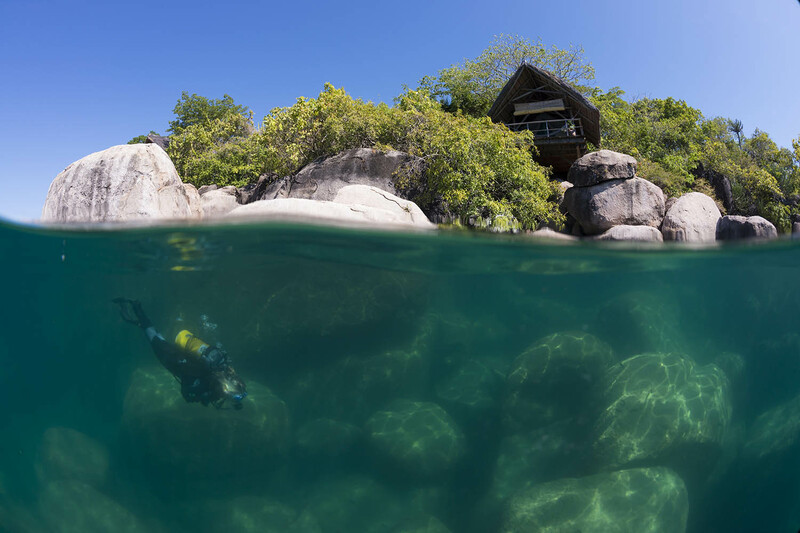 With amazing underwater boulders, around 800 species of colourful cichlid fishes and placid, clear water, the National Park offers what many consider the best freshwater snorkelling and SCUBA diving in the world. 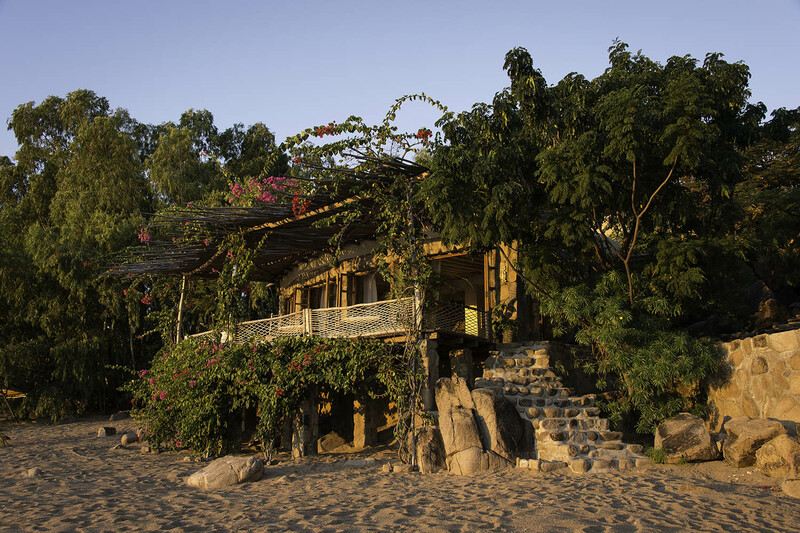 Pumulani is an exclusive beach lodge within Lake Malawi National Park. 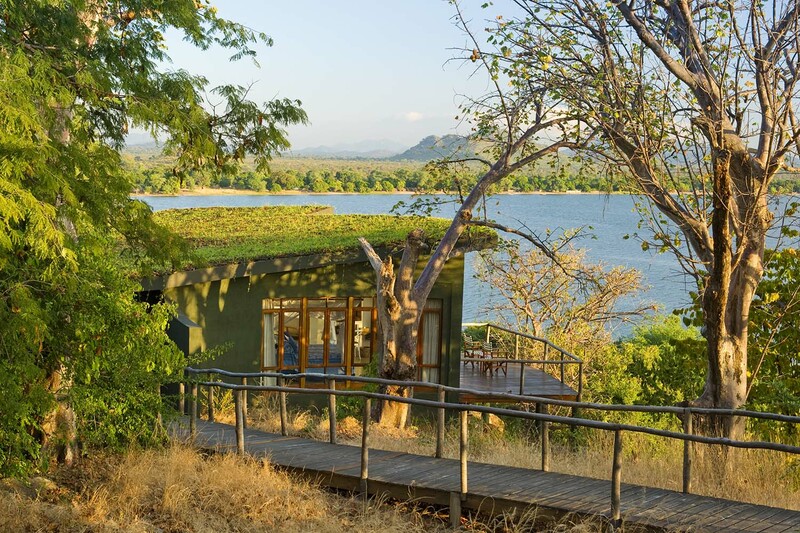 The lodge has ten individually-designed villas spread out along a lush hillside overlooking the lake. 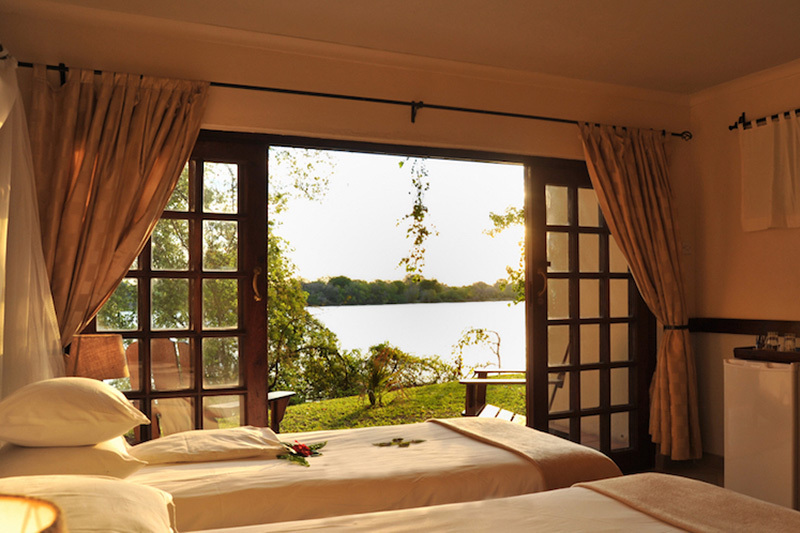 Each villa boasts a large bedroom, a spacious living area and a private deck with lake view. 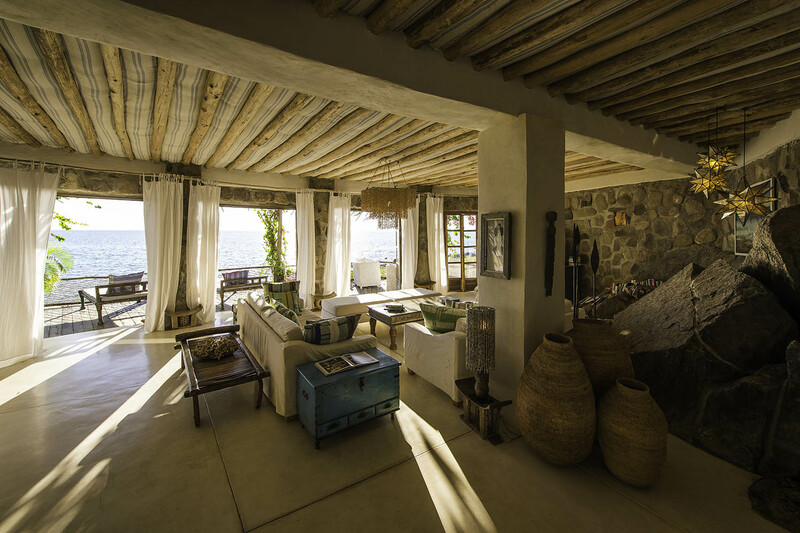 Guests can relax on the sandy beach or at our stylish infinity pool. 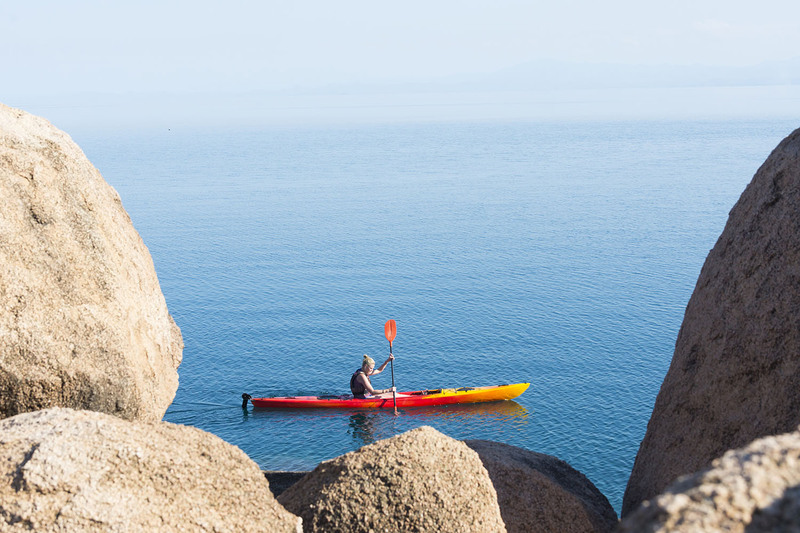 For those seeking activity, there is waterskiing, sailing, diving, wakeboarding, kayaking, snorkelling, fishing and bird watching. 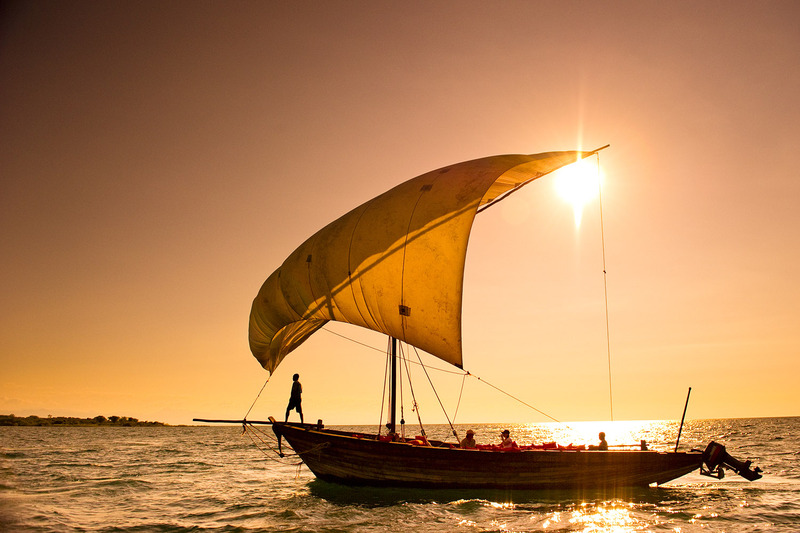 At sunset they offer scenic cruises on a traditional wooden dhow. 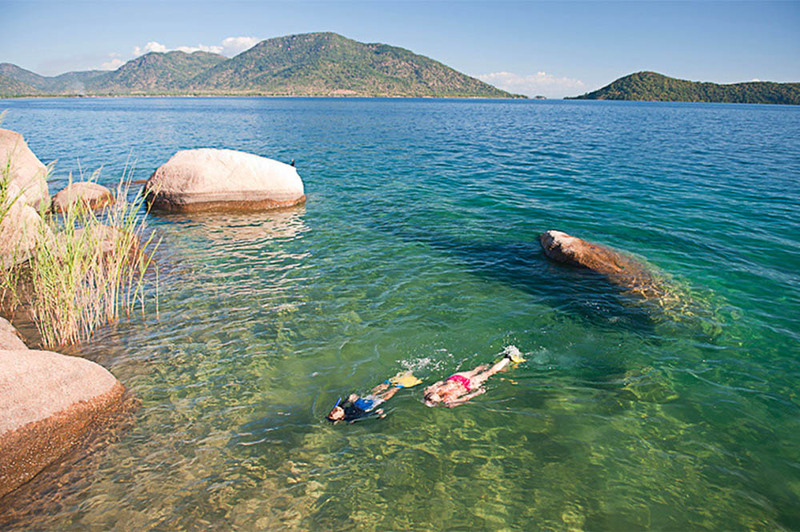 It’s the perfect way to experience the beauty of Lake Malawi, described by the explorer David Livingstone as The Lake of Stars. Full board, all non-motorised activities and drinks. All the good things must come to an end and today breakfast we will drive back to LilongweInternational Airport for your flight back home. Welcome to Zambia! 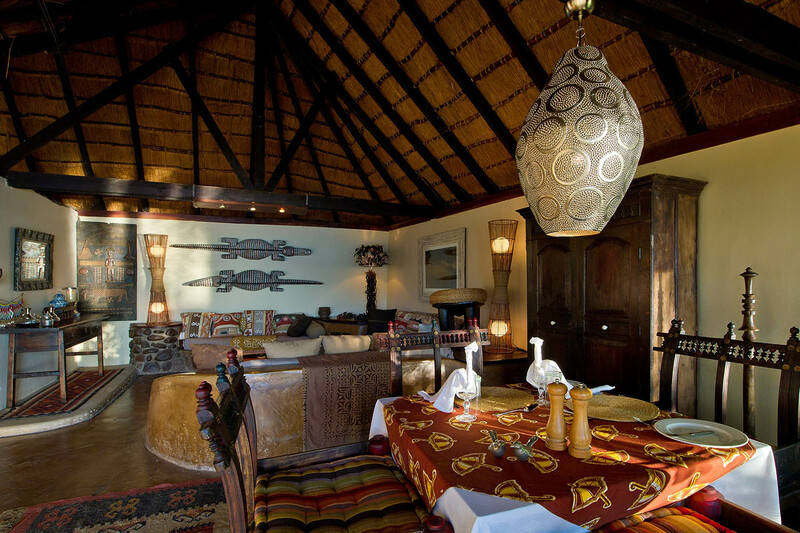 Our representatives will meet you at the airport and transfer you to your accommodation, The Royal Chundo. 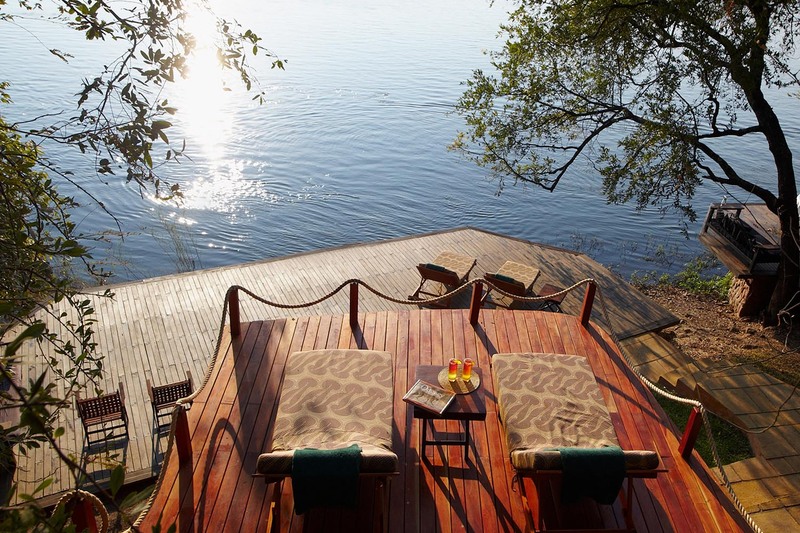 Set on a private stretch of the Zambezi River in Zambia, Royal Chundu indulges both the seeker of respite and thrill. 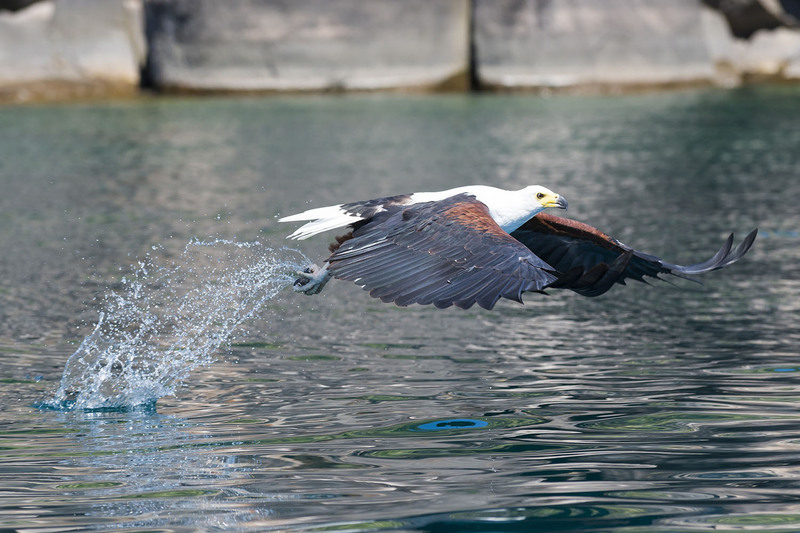 As the only lodge along the Zambezi that does not share its waterways with other Zambian operators, we hold a tranquillity not even the call of Zambia, the iconic cry of the African Fish Eagle, can disturb. 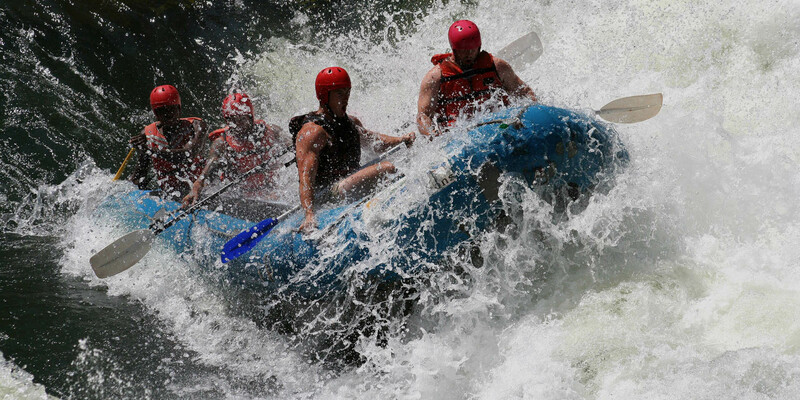 Yet, some 30 kilometres upstream from the Victoria Falls, adventure abounds. You will be transferred back to Livingstone Airport where you will catch your flight to Mfuwe via Lusaka. 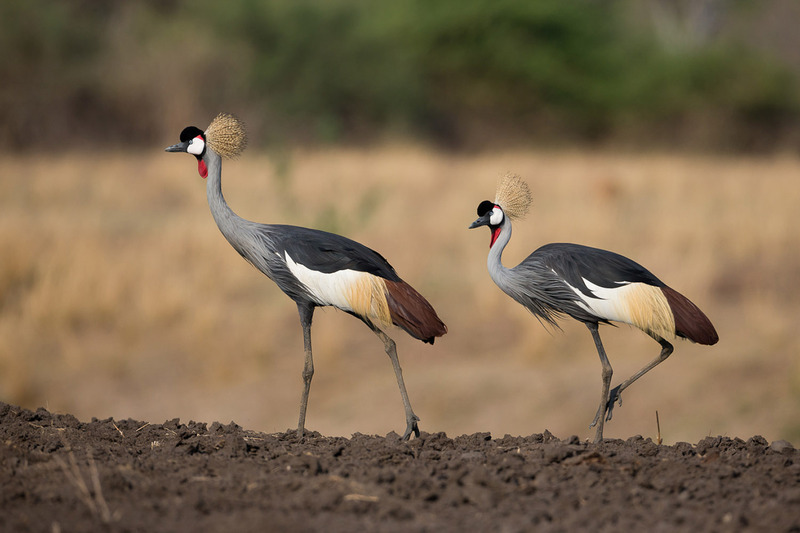 Once in Mfuwe you will be met by our representatives in Mfuwe and driven to South Luangwa National Park. 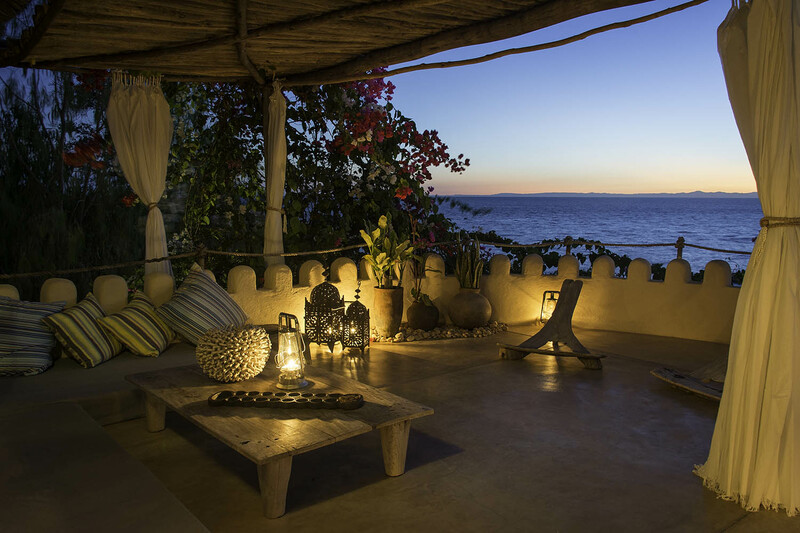 Where you will be staying at Tena Tena. 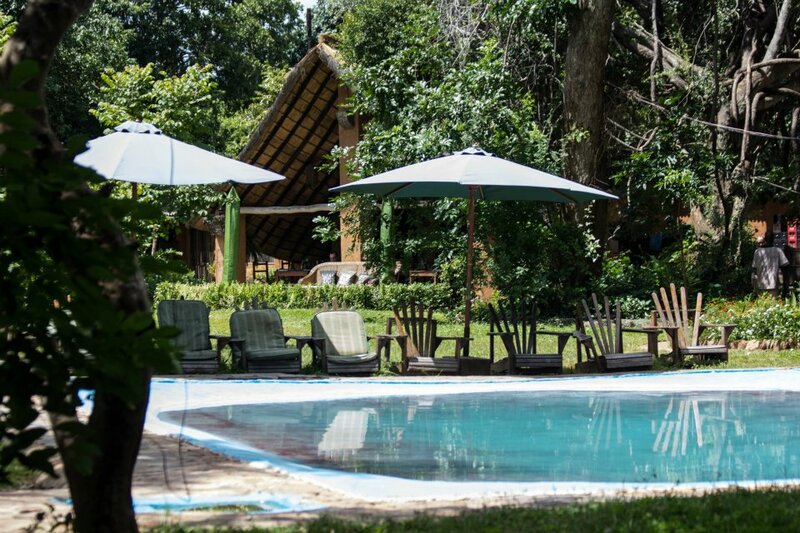 Situated in the exclusive Nsefu Sector, Tena Tena is nestled under a magnificent thick grove of mahogany trees. 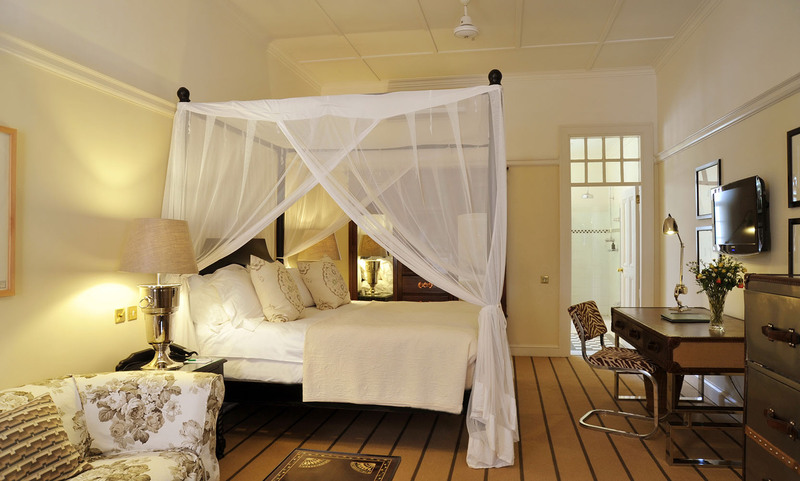 On a double tiered river bank, each room enjoys its own private view onto the river. 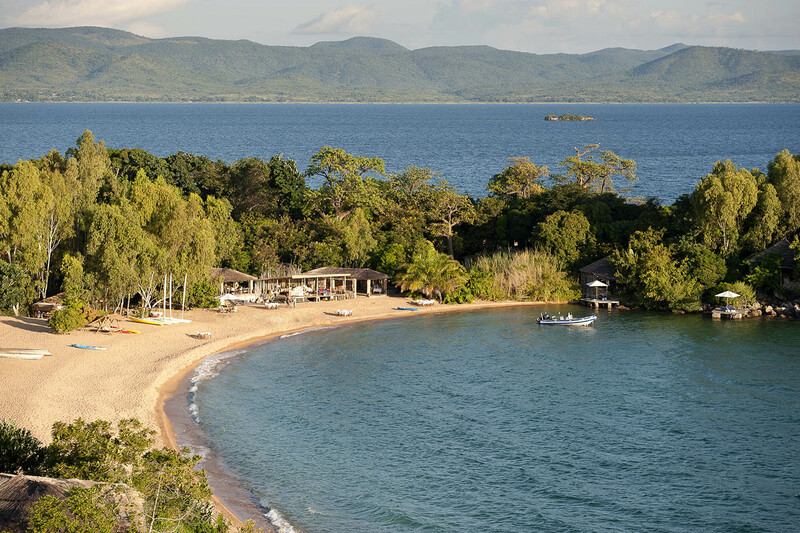 It is now time to fly to the ever green northern part of Malawi. 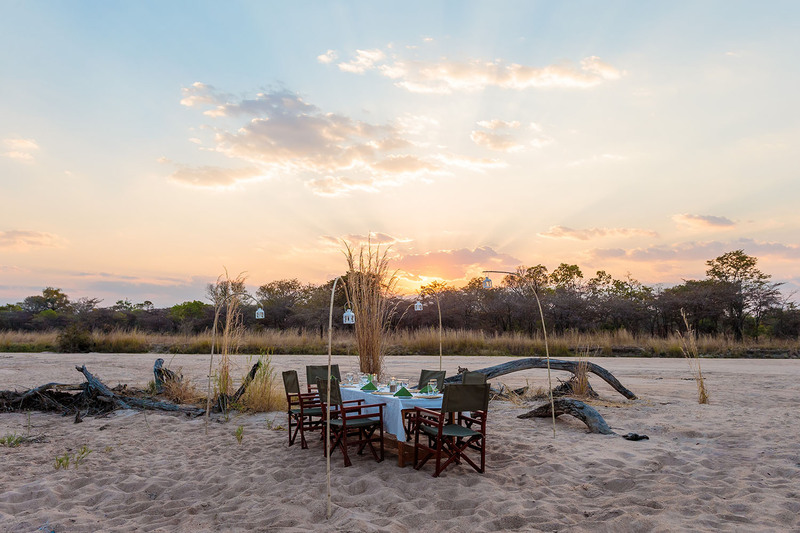 After today`s breakfast, your driver will transfer you to Lilongwe international airport for your flight to Kaya Mawa situated at Likoma Island. A representative will be at the airport to welcome you and transfer you to Kaya Mawa thereafter.